Malvern is the largest of our Barney boats but still agile and easy to manoeuver into those smaller moorings outside the pubs. 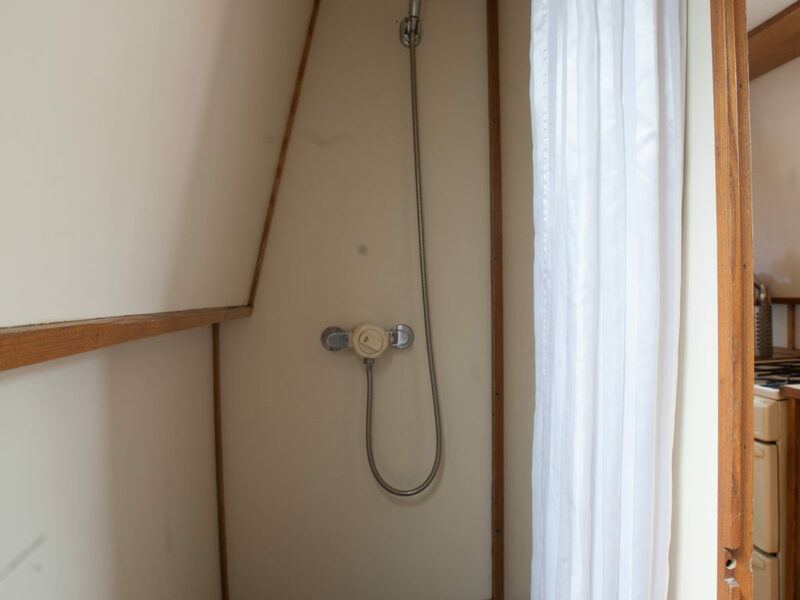 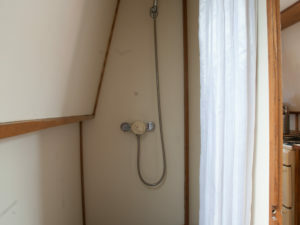 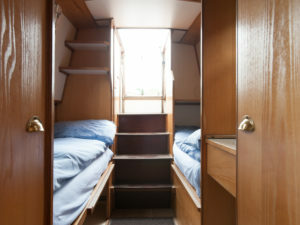 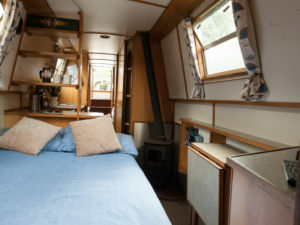 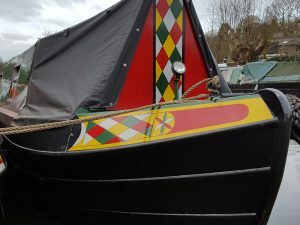 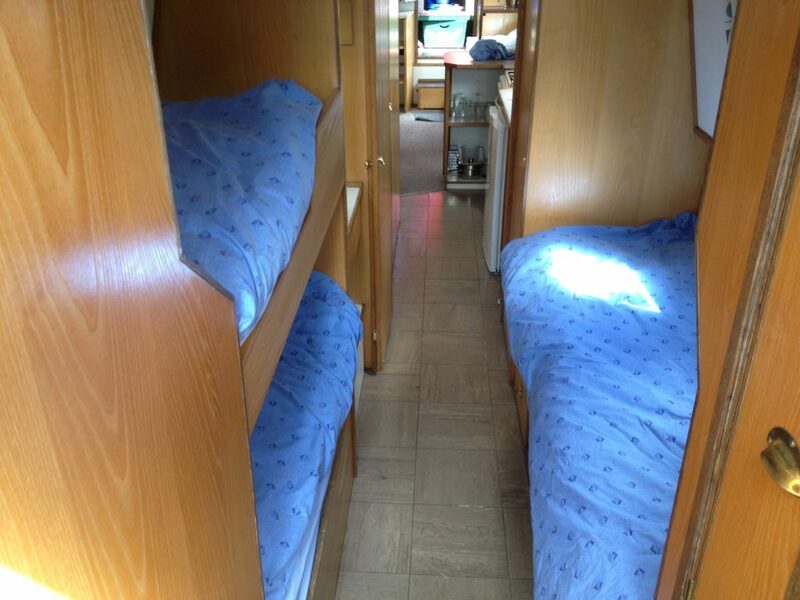 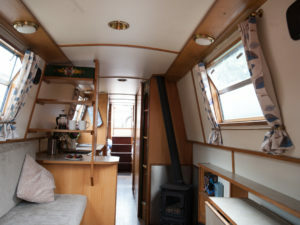 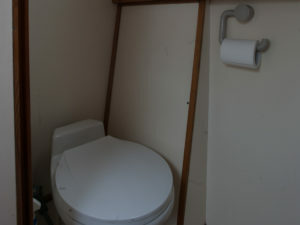 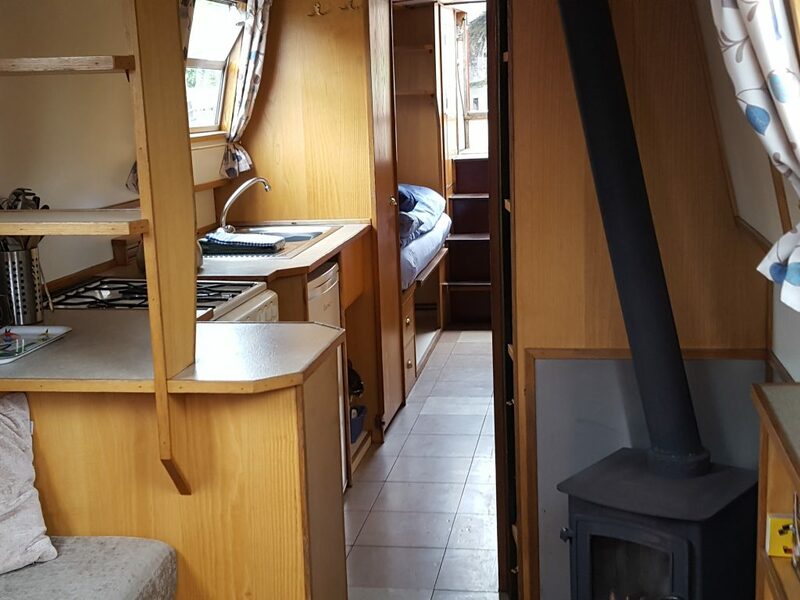 Malvern is a four berth narrowboat sleeping up to 4 adults. 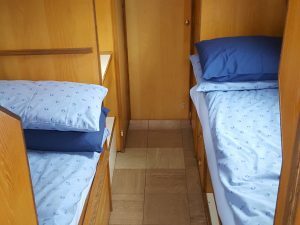 There is the facility to add a 5th bed converting a single bed to bunk beds for younger children accommodating 3 adults and 2 small children, making Malvern ideal for a family getaway. 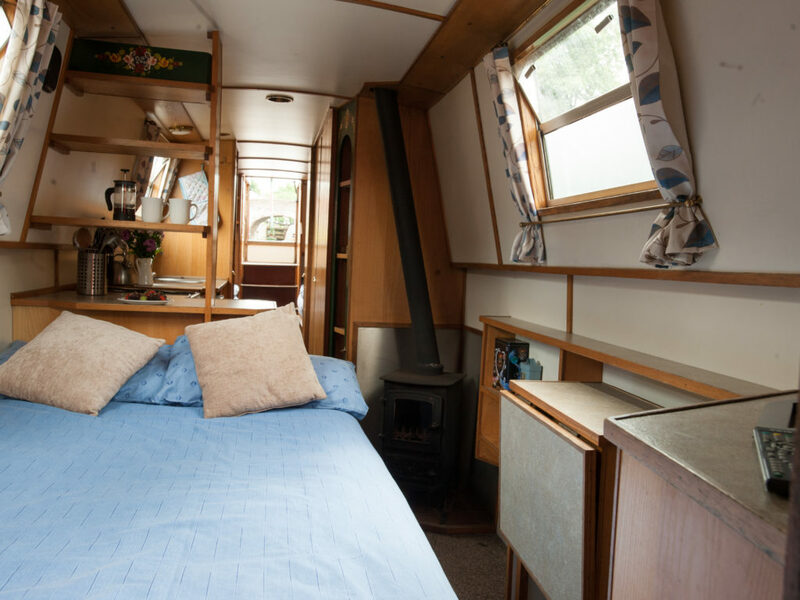 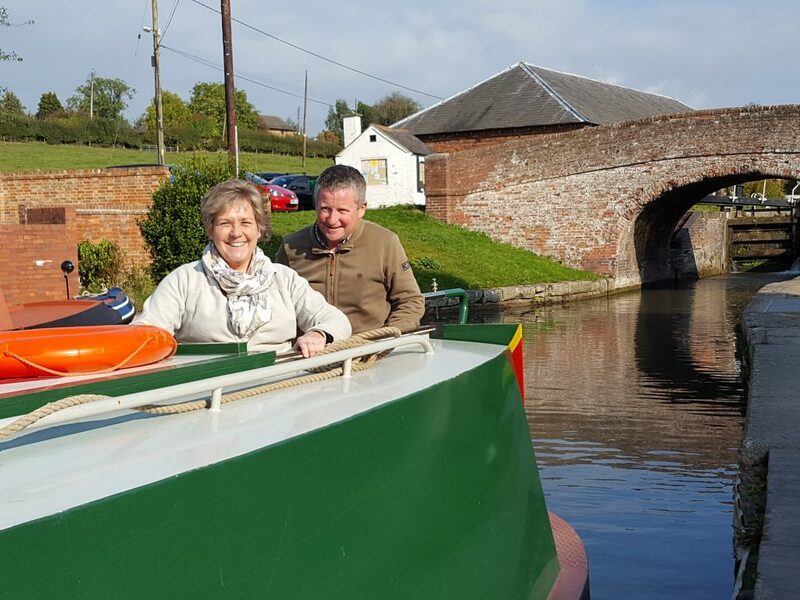 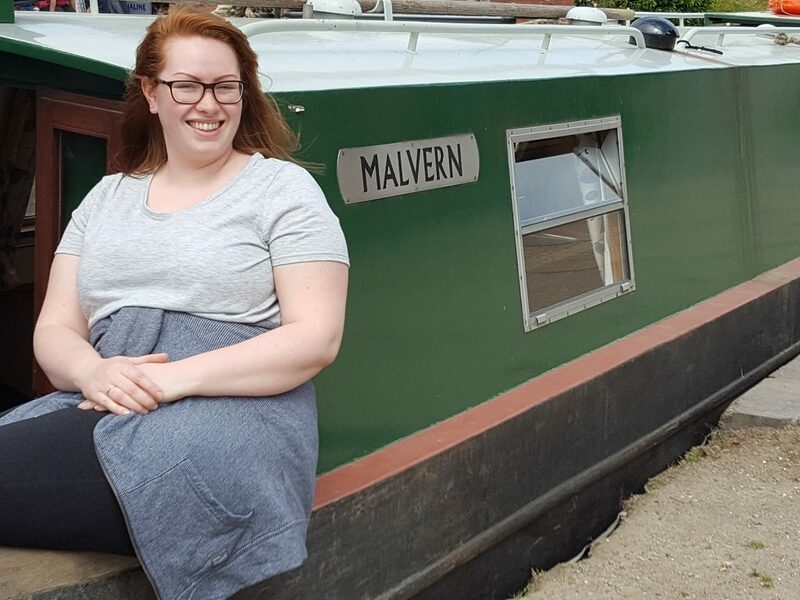 Malvern has a gorgeous design with a traditional style including a covered front deck, ensuring that rain will not hinder your canal boat experience; and an extended opening hatch-way on a traditional stern giving space for two people to enjoy the views. 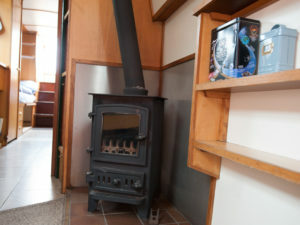 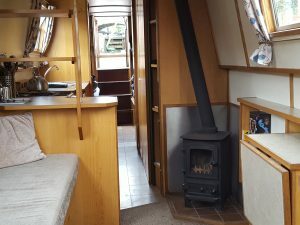 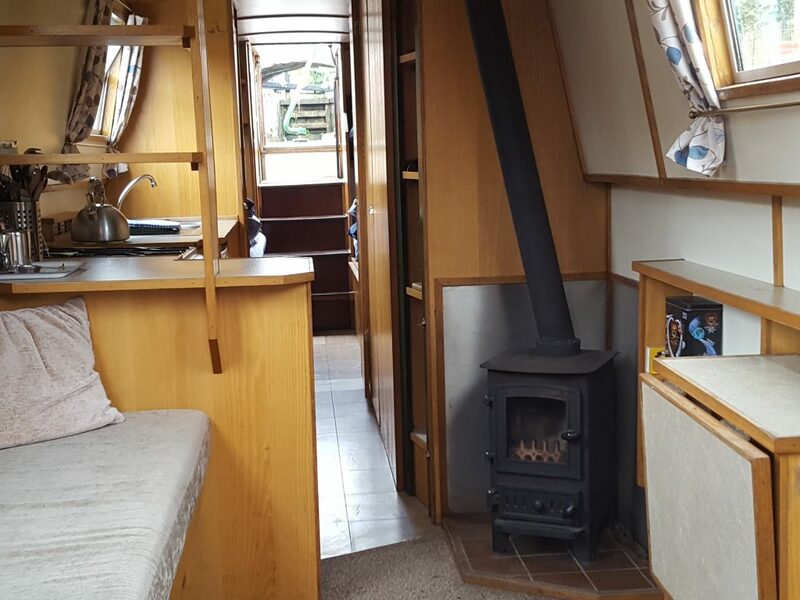 An open plan saloon with a solid fuel stove provides a welcoming living area for cosy evenings on-board. 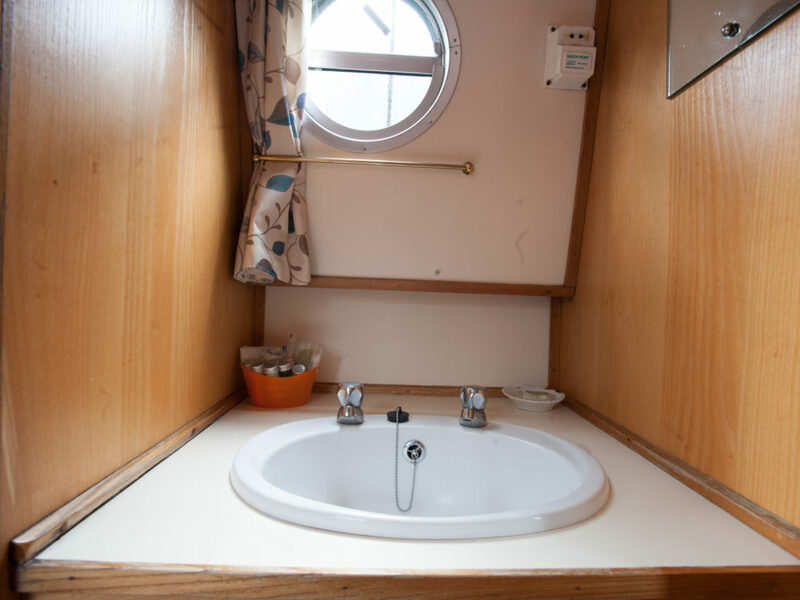 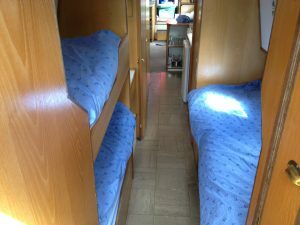 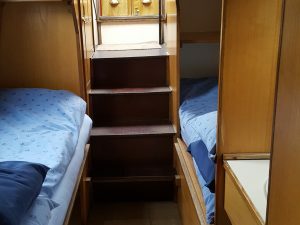 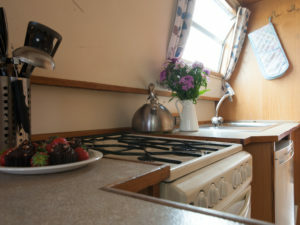 The well-equipped galley, under counter fridge with ice box, an oven and hob, saucepans, cooking utensils, crockery and cutlery offers the opportunity to cook your own meals if you choose to do so.